There's an old folk saying about the Ozarks: "It's not that the mountains are so high, it's just that the valleys are so deep." It's true. The Ozarks are a heavily eroded plateau, pushed up eons ago and carved out by hundreds of streams over thousands of years. Nature worked wonders, and today the diversity of these highlands is endless. Some of the most scenic rivers and majestic lakes in America are here to enjoy. 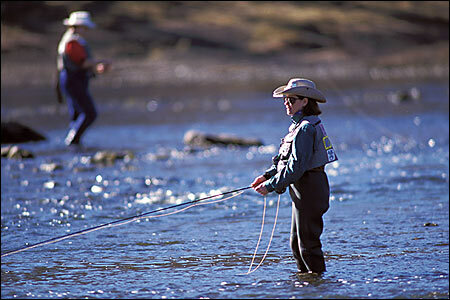 Trout floats on the White, Little Red and Spring Rivers, plus bass and panfish outings on the lakes and smaller streams, make for world-class fishing action. Recreational boating, canoeing and swimming are also on the agenda of many visitors. Plan a leisurely walk along a trickling stream, or pick up the pace on an award-winning hiking trail. Enjoy the shady porch of a cozy log cabin or sail a 40,000-acre lake. Take time to tour a museum, historic home, formal garden or Civil War park. Dance and sing along at an informal mountain hoedown or dress up for an evening on the town. Include a day or two to explore the rich heritage of the hill country. Study the traditional folkways, see the wonders of a limestone cavern or visit a craftsman at work. Hideaway in the Ozarks this year. Directions: 2 miles west of Bull Shoals Dam on Hwy 178. View over a million acres after riding the smooth, quiet elevator to the top. Glass-enclosed area overlooking Bull Shoals Lake and Dam, White River and Bull Shoals-White River State Park. Eleven main historic structures and numerous additional outbuildings, all of which have been brought here from various sites in the Ozarks. All are authentic, as are their contents, and all were being used in 1890.